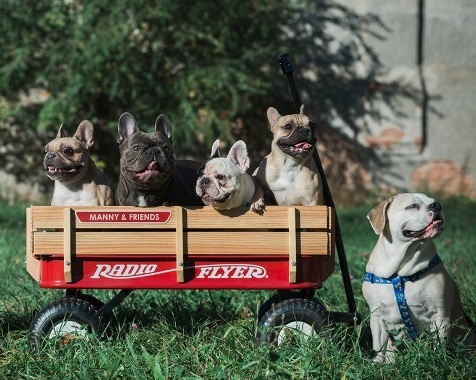 From Goodreads ~ In 2011, Manny was the runt of the litter and on his way to a shelter. But when his parents scooped him up, named him after the world famous boxer, Manny Pacquiao, and began posting photos of him sleeping in their sink accompanied by humorous, optimistic captions, Manny went viral. Whether he’s wearing sunglasses, hitting up music festivals, or sleeping in adorable costumes, this little Frenchie always encourages a positive, do-gooder outlook to his followers. 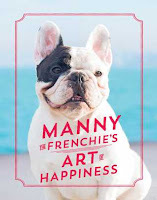 Packed with cheeky humor, witty wisdom, and charming anecdotes, "Manny the Frenchie’s Art of Happiness" will satisfy dog lovers of all breeds. I've never heard of Manny the Frenchie but I love reading books about dogs so that's why this book caught my eye. 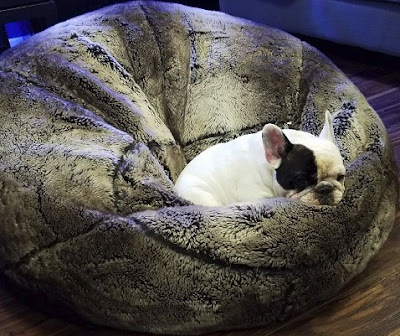 Manny is a six-year-old French Bulldog, who achieved Internet celebrity via the posting of his photographs on various social media websites. 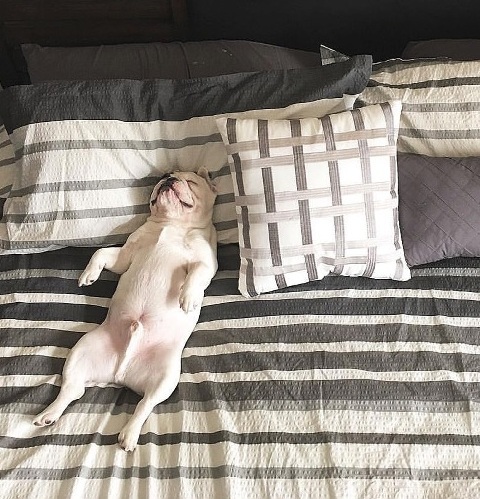 He is currently the world's most followed and popular bulldog on the Internet. 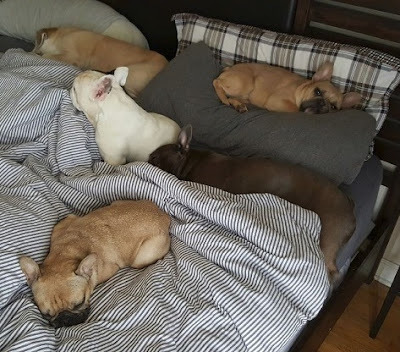 He lives in Chicago with his "mom" and "dog" and four doggy siblings. In the chapters in the book, Manny offers tips and ideas for how to bring joy to your life. Along the way, he tells stories about his life, his family and his adventures. For Manny, life is more than eating, sleeping and going out for walks ... it about being a helper and spreading love. At the back of the book is a list of his favourite charities. The book is humorous and there are lots of great colourful pictures of Manny, his family and friends. It's a fun book for dog lovers.